Amon Tobin is one of those artists that’s hit-or-miss for me. However, when it’s a ‘hit’ it’s pretty dope, so I have him as one of my favorite artists. 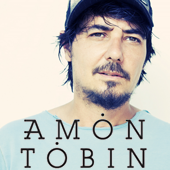 Amon Adonai Santos de Araújo Tobin (born February 7, 1972), known as Amon Tobin, is a Brazilian musician, composer and producer ofelectronic music. He is described as a virtuoso sound designer  and is considered to be one of the most influential electronic music artists in the world. He is noted for his unusual methodology in sound design and music production.